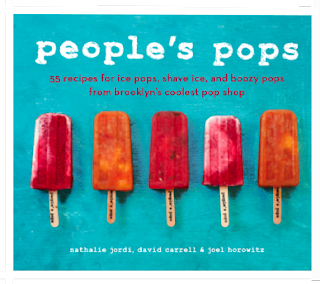 I have been smitten with the delicious treats at people's pops, both at Chelsea Market (where I devoured the Strawberry Ginger) and at their brick & mortar store in Park Slope (where I devoured Raspberry Basil). Don't worry if you're not in the neighborhood of one of their local NYC jaunts - you can now make their recipes in the comfort of your very own kitchen. Their new book (under the same name) is now available. Perfect for the coming summer months! With these treats, you are sure to have a very happy summer! !